Spoilers are a big deal these days. Several years ago, when something new came out, everyone would just sort of be excited about it, talk about it within their own communities, and move on to the next thing. Now that outlets like Twitter and YouTube have grown, the lead up to something new and popular coming out is full of panic over the possibility of spoilers. People share tips on how to block keywords, blocking threats are issues, and so on and so forth. Meanwhile, in the professional side of things, content creators and critics are often beholden by verbal agreements or even NDA documents to keep all but specific details hidden, even within a review. Sometimes, this great fear of spoilers can even cause extra work on the part of the critic, even those on the industry side. 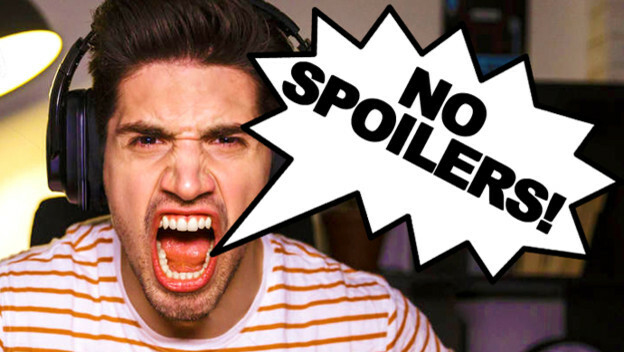 Are spoilers really worth all that trouble? For context, the big spoiler talk this time comes from Kingdom Hearts III. The review cycle for a game like this would normally would be full of takes from all over the internet, from outlets big and small, influencers, and YouTube critics. But instead, something weird happened. Hardly anyone spoke of having the game early, and while plenty of spoiler-heavy content showed up on YouTube, many other outlets were left to publish articles about why they wouldn’t have the game on release day. Not that we’re about to go into speculation territory for a moment. It’s super possible this has to do with spoilers, and there are two pieces of evidence that have me thinking that way. 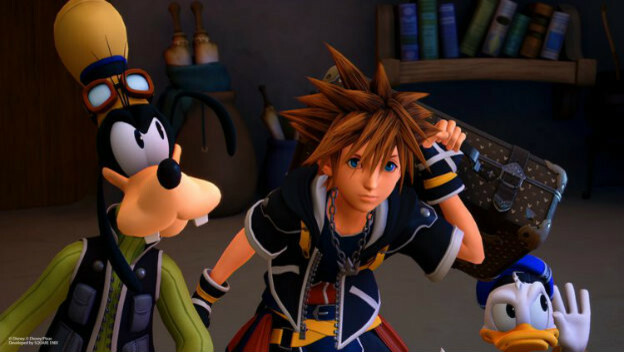 One, despite the third Kingdom Hearts game seeing a nearly simultaneous global release, a shipment of physical copies of the game was stolen from the supplier ahead of release. This person sold multiple copies on places like Facebook for a big ol’ profit, and spoilers started getting out from there. The community largely banded together to ignore or draw attention away from this stuff, but it was out there weeks ahead of time. This caused director Nomura and Square Enix to react, with Square Enix going after the person responsible for the leaks and Nomura suggesting in an interview that the spoilers happened because of the release plan. Then, he stated that Square Enix may reconsider doing the whole simultaneous release thing in the future. Did this event also cause more discretion and restraint when it came to early review copies? There’s no way to say for sure, but considering the events surrounding the launch of Kingdom Hearts III, it’s hard not to see some connective tissue there. Now, I understand why people don’t like spoilers and strive to avoid them. Spoilers take away that raw sense of discovery you get from experiencing something for the first time. If you know the major plot points before you go in, you don’t get that shock or surprise that comes with not knowing. There is a lot of value in that, even though I don’t necessarily believe it’s the most important part. After all, there are studies that suggest spoilers can actually enhance someone’s appreciation and understanding of a story. The way we talk about spoilers now, the aggression over avoiding them at all costs, can have a negative impact on how we talk about media. There’s no clear grace period at which spoilers become okay, and that causes people to tiptoe around plot points that can enhance discussions or arguments without giant warning labels involved. Because of that, creative or critical work that does contain spoilers suffers from a lack of visibility due to people not sharing it or avoiding talking about it openly, lest they upset someone. It isn’t even clear all the time what really constitutes a spoiler, as some folks consider spoilers major plot reveals and others every little detail. It’s an imperfect science. While I personally don’t care about spoilers, I understand why others do. Both of those perspectives up above are neither right nor wrong answers, and ultimately, I think people are trying to figure out how to navigate that space while still making engaging and thoughtful, critical content. But you kind of have to admit that worrying about spoilers adds extra work to the work, and that the benefits of tiptoeing around spoilers is fleeting at best. On the other hand, reaction’s like Nomura’s make sense from a creator’s perspective as well. With so many people approaching the subject from so many different opinions and perspectives, it’s no wonder we all lose when it comes to spoilers.